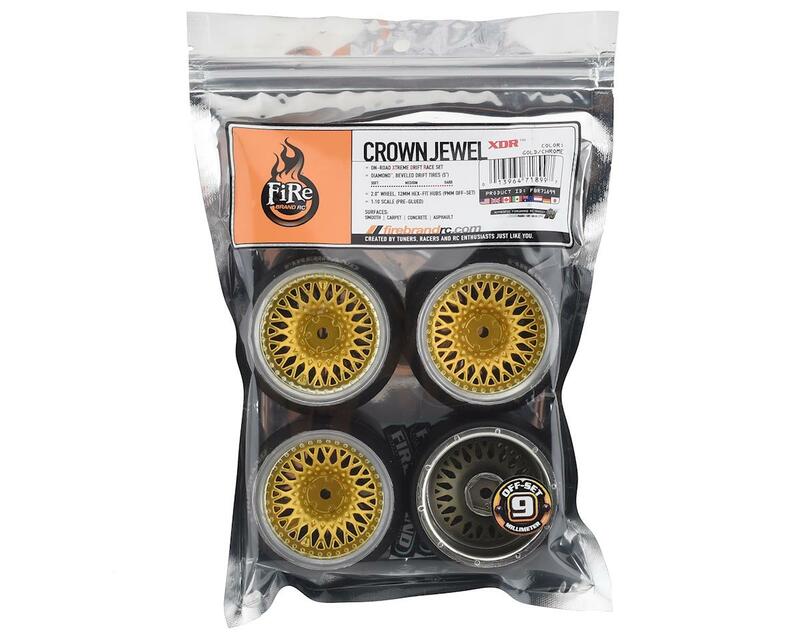 Firebrand Crownjewel XDR9 5° Pre-Mounted Slick Drift Tires feature the CrownJewel-XDR (Xtreme Drift Race) wheel, mounted to Diamond double-beveled drift tires. Both are made from the highest quality ABS plastic and rubber materials available. The Diamonds tires are low-traction, 45° double-beveled drift tires. 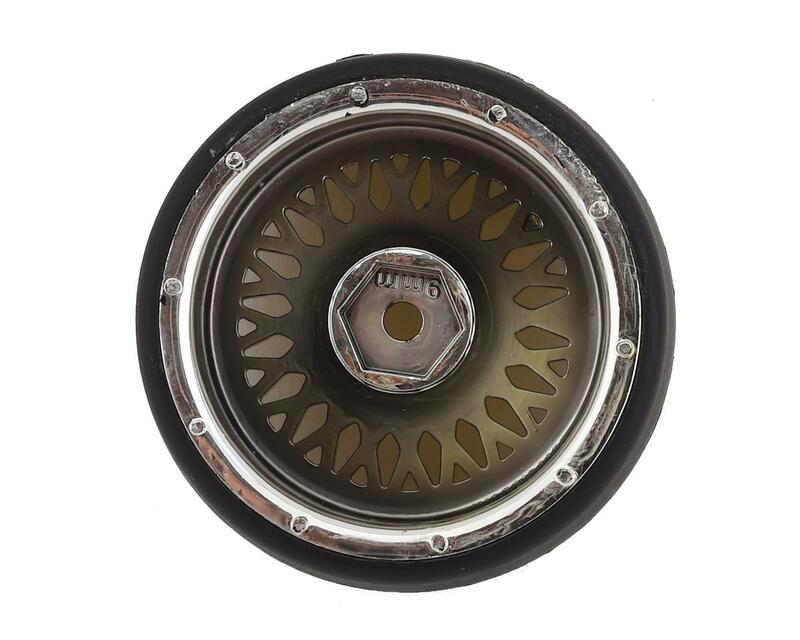 These drift wheels and tires fit most 1:10 scale, on-road, radio-controlled cars. 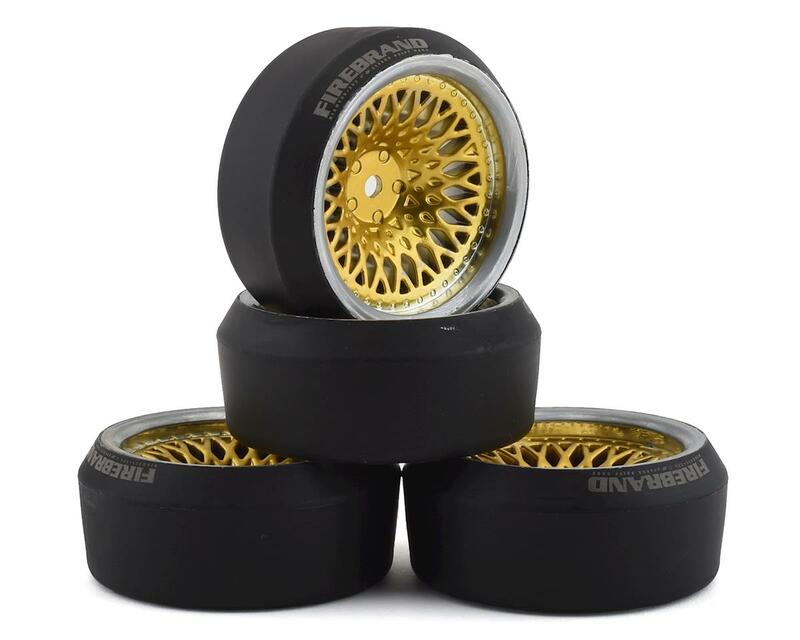 CrownJewel-XDR drift wheels are available in Silk-Gold/Ice-Chrome and, if desired, can be painted with poly carbonate paint. 12mm, Hex-fit hubs w/9mm offset.